Yay, it’s Tried & True’s 5th Anniversary this week and I’m throwing a virtual tea party! I am surround by boys and superheroes so this is the only chance I have to throw a girly party. 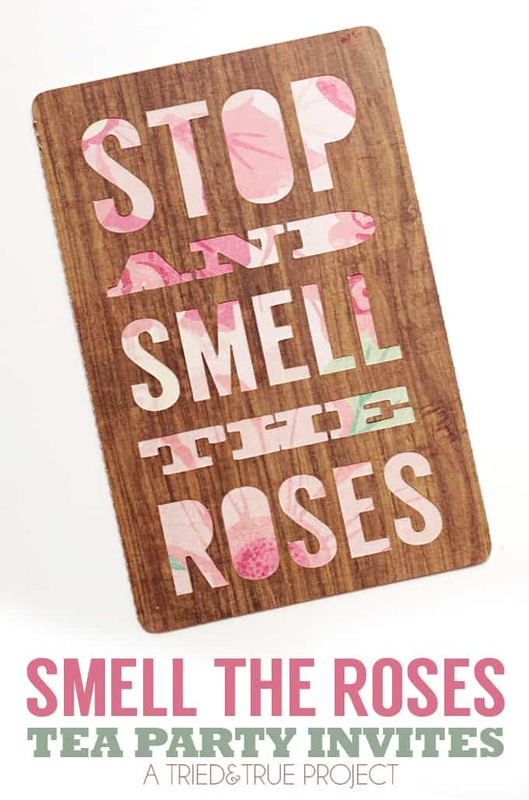 Bring on the pink! 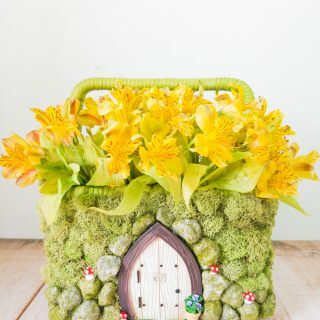 There will be daily tutorials on fun tea party crafts and recipes for yummy finger foods. 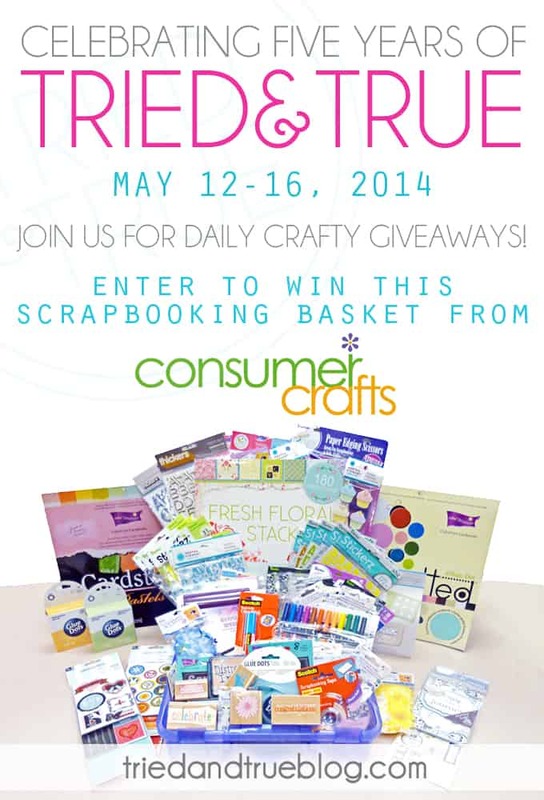 Also, don’t forget to come back each day for awesome giveaways from my favorite craft companies. How do you like that? It’s T&T’s birthday but you get the gifts! 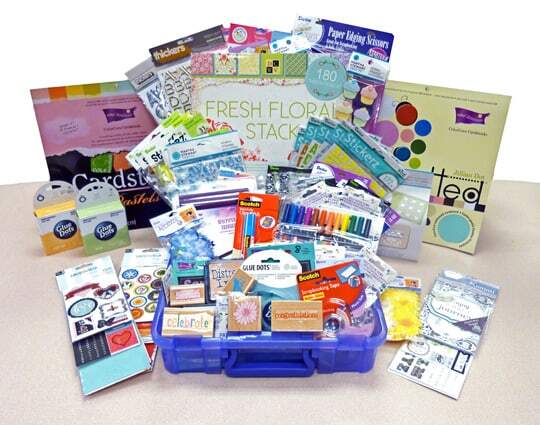 Today’s giveaway is sponsored by the wonderful Consumer Crafts who donated a huge Scrapbooking Gift Basket! I love working with this company and their extensive craft website. 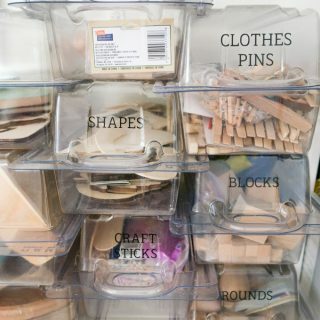 Reasonably priced and quick delivery, Consumer Crafts should be your go-to store for buying craft supplies online! Scroll to the end of this post to enter. First things first…we need to send out the Tea Party Invitations! 1. 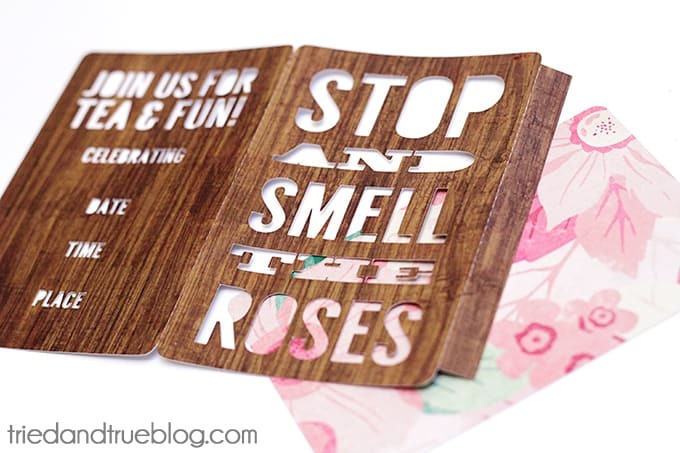 Use the Free “Smell The Roses” Tea Party Invitations Studio Files – (01, 02) to cut the invitation from your decorative scrapbook paper. Consumer Crafts has so many scrapbook papers, you’re sure to find one to match your Tea Party theme! 2. Spray adhesive on the back of the invitation wrapper and glue in place. 4. 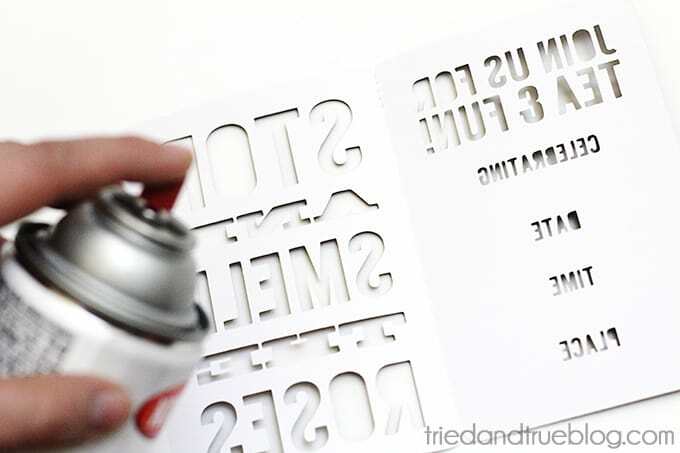 If you decided to use a dark paper for the invite, use a white gel pen or permanent marker to fill in the back. Hope you enjoy the tea party! And that’s it! All you have to do now is buy some standard envelopes to fit a 4×6 card and you’re ready to invite the world to your party. Join us tomorrow as we work on the Tea Party Favors! And to start off this week’s 5th Anniversary Festivities, I’m happy to offer this amazing Scrapbooking Basket graciously donated by Consumer Crafts! 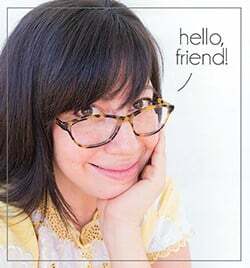 You can connect with Consumer Crafts via Facebook, Twitter, YouTube, Instagram, and Pinterest. Just follow the instructions in the Rafflecopter widget below to enter. Good luck! My favorite craft is any one that I can use recycled or upcycled supplies for at least part of it! Happy 5th Birthday! Love the invites Vanessa! I like how they are double sided. I need to remember that for my next invitations! 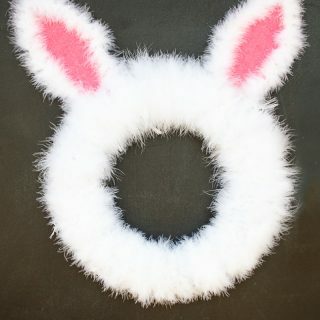 Now my favorite craft... I like making things with my Silhouette (obviously) and sewing! Happy Birthday to your endeavor! 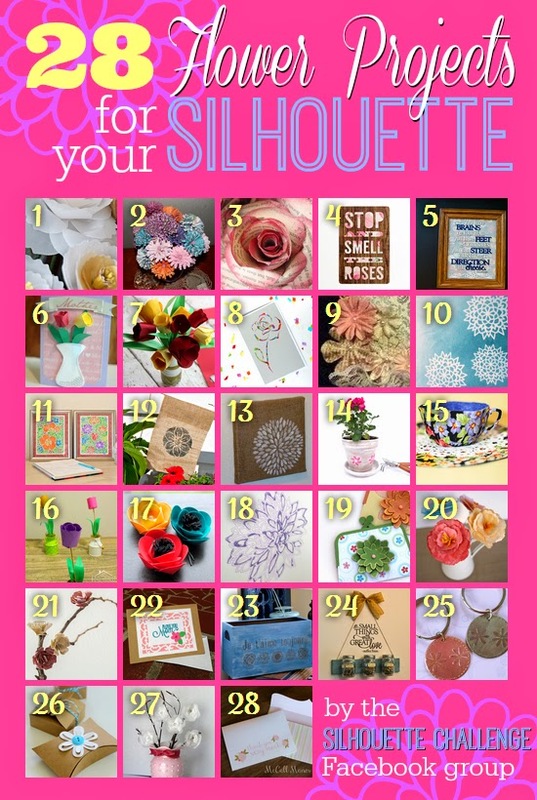 Thanks for sharing on the Silhouette Challenge blog. Your project is really nice. I LOVE the concept of these invites!! So unique and creative! And the paper combination is lovely, too. Great job! What a great invite! And Happy blogiversary!! I'm definitely a tea girl, so this sits close to my heart. Thanks for sharing! Great invite! And happy blogiversary!!! Happy Blogiversary! 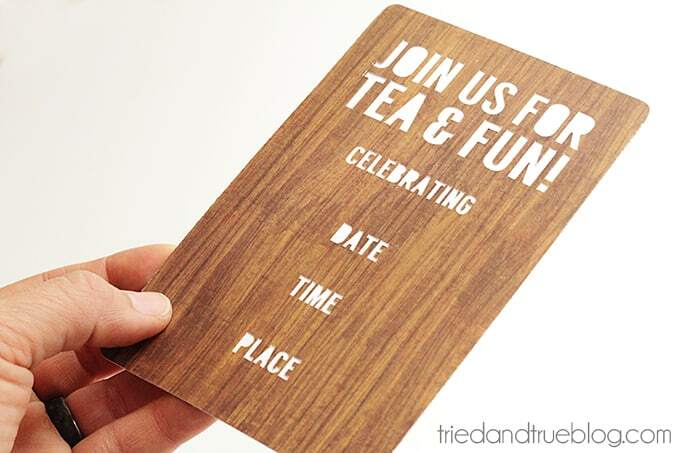 And the tea party invites are so pretty! Those are too cute, happy bloggy birthday!!! Pinning these for sure! I like all types of crafts! I have lots of favorite crafts including making paper decorations and cards. 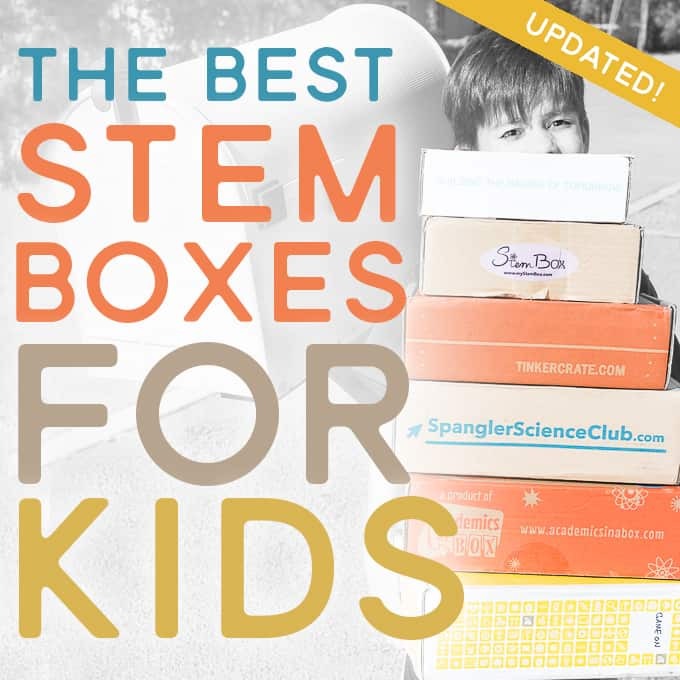 My favorite crafts are paper quilling, scrapbooking and cards. Thanks for the great giveaway. 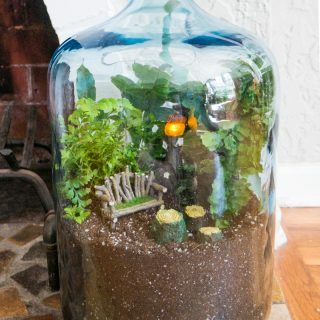 My favorite craft is anything to do with reusing jars! 5 years!! Congrats - what a fantastic achievement! And that invitation is beyond gorgeous - love the peekaboo wrap for the invite! Love how this is feminine without being overpoweringly girly! I love papercrafting...making tags and cards is my focus! I love your tea party invitations. They are so cute! Love your invites. Happy 5th Anniversary. I love all kinds of crafts...right now mostly Hybrid crafting. These are so fun! And I love the two types of paper you chose for the invites. 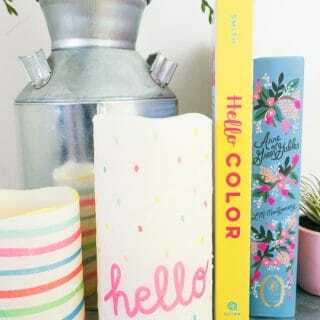 Makes me want to host my own tea party :) My favorite types of crafts usually involve washi tape or acrylic paints! Happy 5th Birthday. My favorite craft involves working with things I have around the house. My kids love paint. Yay! Okay, first of all HAPPY BLOGIVERSARY! I'm so impressed to know you've been blogging for 5 years. That's awesome. And second of all, yay for tea parties and all thinks pretty in pink. I love that you're indulging your feminine side this week. I'm all over this virtual tea party. And third of all, these invites are adorbs times infinity. 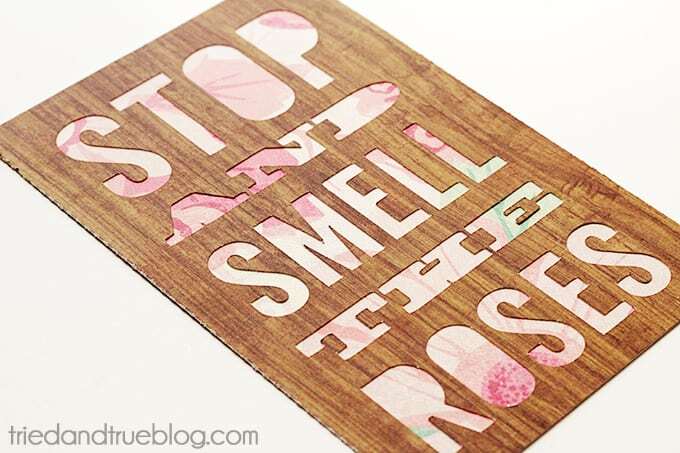 I love the use of the negative space as well as the contrast of the rough wood and soft flowers. Lastly, thanks for this epic giveaway. You're too good to us, Vanessa. Congrats again! 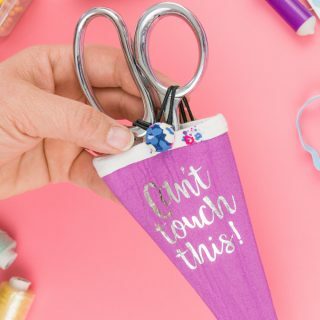 NEW TO CRAFTING SO I HAVE BEING HONEST I DON'T HAVE A LOT SO I HAVE NOT USE LOT SO I CANT SAY WHAT I LIKE.I HOPE TO WIN THIS GIVEAWAY THEN I CAN SAY THEN WHAT I LIKE. Happy Blogging Birthday!!! 5 years is awesome :) Love these invites! The cut out with the paper backing is genius!! Thanks for inspiring us! I love making cards with my daughters. Happy Blog Birthday. You bloggers work so hard, but I do appreciate it! I love Consumer Crafts and buy there often. They have such good deals. I use a lot of the Darice embossing folders. I would have never of thought to layer paper like that for an invite....what a great idea! Thank You! Hip hip hooray for your 5th blog anniversary!! Congrats and thanks for the tea party invitation. Super cute. You know I love a tea party! And my favorite craft changes from day to day, but usually involves paper or fabric! Happy Birthday to you and your amazing blog. I guess I can say that my favorite craft is Paper crafting. My favorite craft changes almost everyday, but I'm especially in love with the ones I finish!